How do you better establish value? How do you create valuable conversations with your prospects? 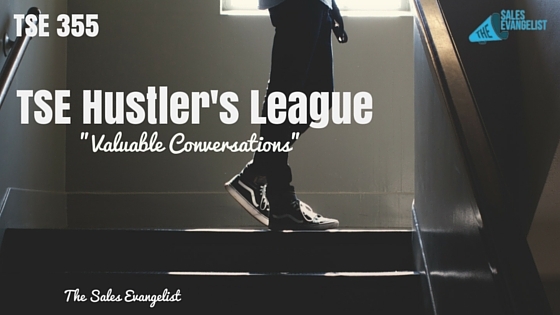 How do you move conversations to the next level? Today, I pulled out a snippet from one of our training sessions at the TSE Hustler’s League which focuses on the idea of establishing value. I’m giving a concrete example of leads coming to you and what you can do to take those leads and not let them fizzle out. A buyer comes to you and is interested in buying your product/service. They want to see a demonstration. It went good. They asked questions and sounded like they were prepared. When you asked them what’s the next step, they said they’d call you back up as they’re still thinking about it. They are ready to look, but they’re not ready to buy. What do you do? It’s the status quo. – Buyer could be scared of the changes when going with something else. Status quo is more comfortable and more secured than anything else. Nothing is wrong anyway. 74% of executives indicate that they give their business to the company that establishes buying visions as opposed to 26% who do a side-by-side comparison. Establish a buying vision as to why they should buy from you now. 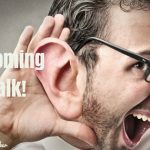 You don’t have to talk about your product or service. You just have to establish that the status quo is dangerous. And if they were to continue at this rate, what would happen? Get the prospect to visualize and understand that. Recognize and understand their status quo and why it is dangerous to be in that status quo right now. Establish value with your prospects.